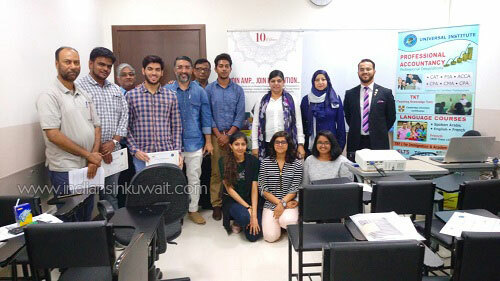 Association of Muslim Professionals (AMP) in association with Universal Institute conducted a “CV writing and Interview Skills Workshop” on Saturday the 4th of August 2018, at the Universal Institute in Salmiya. It was attended by members of AMP from different fields of work, fresh graduates and seasoned professionals. The event started with Mr. Arif Durrani President of AMP; welcoming the participants and thanking Universal Institute and its trainer for standing with AMP for this event. Later Ms. Fareeha Mazhar (Business Associate of Universal Institute) shared a presentation on the different training programs and courses that are being successfully run by them for more than 10 years. 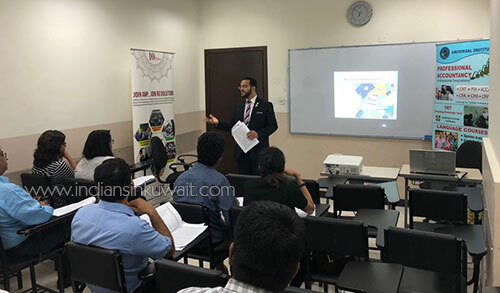 It was a high quality event delivered by Mr. Mohammed Sami (SHRM USA and CIPD UK) a great and inspiring certified trainer of Universal Institute. His knowledge and communication style were very absorbing and left a good impression on one and all. A very notable learning was how body language plays a very critical role in evaluating an individual. It turned out to be a very interactive session where the attendees shared their experiences of getting interviewed and learnt how different situations at the time of interview should be handled ending up a successful interview. There was a lot to take home for the attendees; which will benefit them in today’s competitive world. These skills will provide an edge over others; where there are hundreds and thousands to compete against. 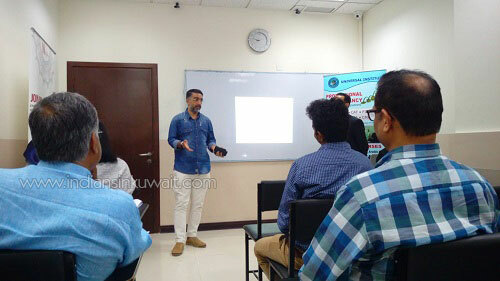 People benefited from the training skills, expertise and experiences shared by the trainer. At the end, AMP presented participation certificates to all the attendees and momenta of appreciation to Universal Institute. Mr. Abdullah Hasan Thakur, Patron AMP thanked the audience for attending the session and stressed on the point that how important this sessions was and how this can be a game changer in the life of an individual. He also thanked Universal Institute (sponsors for this event) for partnering in this great workshop and providing this opportunity. Special thanks were offered to Ms. Farzeen Rumane (from AMP Kuwait) for organizing and coordinating this whole event. After the success of this session we feel we should have more of these on a regular basis to ensure that most of us benefit from this.